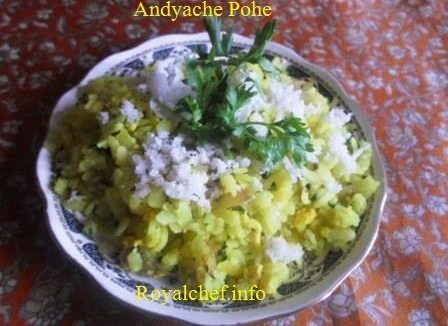 This is a Recipe for preparing at home authentic and traditional Maharashtrian Style Methichi Bhaji (Fenugreek). The Methichi Bhaji is a healthy and nutritious vegetable preparation. Fenugreek is also considered to posses strong medicinal properties and is used in many traditional Indian healing home remedies ranging from digestion to skin care. Hence, the Methichi Bhaji can be a useful part of the diet of sick and ailing persons. The Methichi Bhaji preparation given in this recipe preserves the healing properties of Methi as it uses only the essential basic ingredients need to add taste to the Methichi Bhaji. Clean and wash the Methi leaves properly. Heat the Oil in a Kadai and prepare Tadka then add Garlic and Green Chilies and then fry for 1-2 minutes. Then add the Onion and fry for 3-4 minutes and then add Methi, Salt and ¼ Cup Water and cook for 10-12 minutes on a low flame. After that add the Coconut and cook for 2 minutes on a low flame.